Today is a cold and damp day where I live. What could be better than some homemade soup! I’ve been dying to try this recipe I found online at the Food and Wine website. 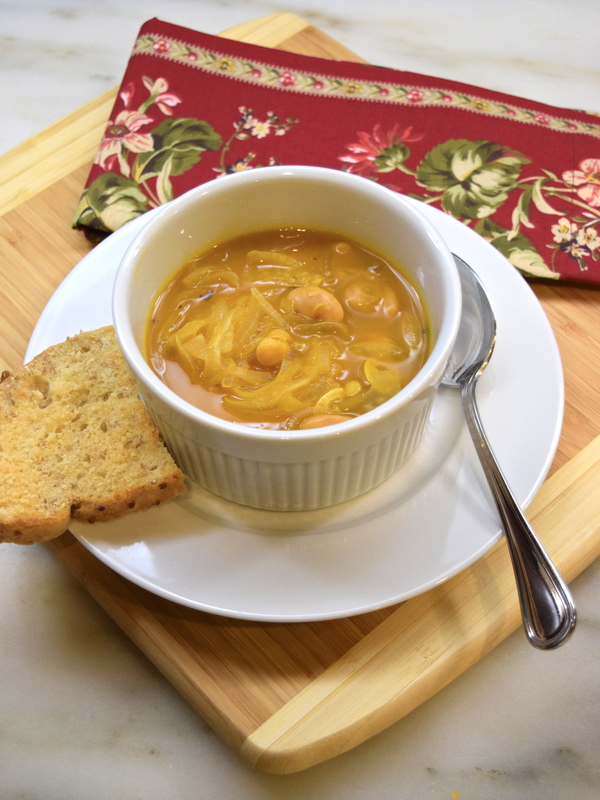 The soup recipe was contributed by actress, Gwyneth Paltrow, and it is a wonderful take on the traditional French onion soup! It’s full of thinly sliced fennel, onion and garlic. Some red pepper flakes give it some heat! Perfect to warm some chilled bones on a cold day! Using a large pot, heat 3 tablespoons olive oil over low heat. Add the fennel, onion and garlic, cover and cook over low heat, until softened, stirring occasionally, for about 10 minutes. Uncover and cook, while stirring occasionally, until onion and fennel are slightly brown, for about 15 minutes. Add crush red pepper flakes and oregano and cook for another minute. Pour in vegetable broth and add beans. Bring to a boil. Salt and pepper to taste. Simmer over low heat for about 30 minutes, until broth is reduced slightly. Preheat broiler and place rack approximate 8″ from the heat. Place bread slices on a tray and toast them 1 to 2 minutes, until golden. Then flip slices over and toast the other side for one minute, then spread a little butter on each piece and sprinkle with the cheese. Toast for another minute, until golden brown. Serve bread on the side. 6 servings. French onion soup is always welcome in my house! Thanks for being at FF#46! Thank you so much! Please visit again! find your e-mail subscription link or newsletter service. Do you’ve any? On the right column underneath my picture, you should see a link “Follow Blog Via Email.” Hope that helps you and that you will become a follower! Thank you for your nice comment. I joined a link party, Fiesta Fridays, and have gotten advise from other bloggers. Good luck to you! Thank you for taking the time to comment and for following my blog! Thanks for finally talking about >French Onion Style White Bean Soup | Simple and Healthy Foods <Liked it! the costs. But he’s tryiong none the less. I’ve been using WordPress on a variety of websites for about a year and am anxious about switching to another platform. I’m sorry that I can’t help you. In the future, when I switch from WordPress.com to WordPress.org, I will probably pay WordPress to do it. I am so glad that you found my blog helpful! Thank you so much and for following my blog!